The Trans-Mediterranean (Transmed) is a 2,475km-long natural gas pipeline built to transport natural gas from Algeria to Italy via Tunisia and Sicily. Built in 1983, it is the longest international gas pipeline system and has the capacity to deliver 30.2bcm/y (billion cubic metres per annum) of natural gas. Its capacity will be increased to 33.5bcm/y by 2012. The Algerian section is operated by Sonatrach, the Algerian State Authority. The Tunisian section is owned and controlled by Sotugat and Sergaz respectively. The channel of Sicily is controlled by Trans-Mediterranean Pipeline Company (TMPC), a joint venture of Eni and Sonatrach. Snam Rete Gas, a subsidiary of Eni, operates the Italian section. The Transmed pipeline begins in Algeria and runs 550km to Tunisian border. From Tunisia the line passes 370km to El Haouaria in the Cap Bon province and then crosses the 155km-wide Sicilian section. Passing through Mazara del Vallo in Sicily, the pipeline further moves 155km in Sicily and reaches the Strait of Messina. It reaches the Italian mainland after passing 1,400km and later moves to Slovenia. At the front end, the Transmed pipeline is connected to the Hassi R’Mel gas field which is the largest onshore gas field in Algeria, producing 2,000bcm/y of natural gas. The pipeline links to Italy at Minerbio situated near Bologna in the Po Valley where gas enters into the natural gas distribution system. The Transmed pipeline consists of a total of nine compressor stations including one in the Algerian section, three in the Tunisian section, one in Sicily and four in the Italian section. The Algerian and Tunisian sections feature two parallel lines of 48in diameter. The Sicilian section comprises two lines of 20in diameter. The Italian section consists of two lines of 42in and 48in diameter respectively. The total cost of the Trans-Mediterranean project was $6.25bn. The cost incurred for the Algerian section was $2bn, of which $1.2bn was provided by Italian banks with backup guarantee from Eni and Sonatrach. The Tunisian section cost $0.95bn, of which $0.65bn was funded by Export Credit Agencies. The Sicilian channel had cost $1.5bn, of which $0.7bn was funded by Export Credit Agencies. The International Consortium Banks provided $0.8bn each for Algeria and Sicily, and $0.3bn for Tunisia. The European Investment Bank funded $1.8bn for Italian Mainland section. Eni signed the first accord with Sonatrach in 1972 for import of natural gas into Italy. Sonatrach was awarded a contract by Eni in 1977 for supplying 12.3bcm/y of gas from the Hassi R’Mel Gas Field for a period of 25 years. Eni signed a second contract with Sonatrach in 1990 to import additional 7bcm/y of natural gas. The construction of Transmed pipeline was proposed in 1960s. A pre-feasibility study was carried out in 1969 with the first route survey completion in 1970. Technical tests to install pipes in the Mediterranean Sea were executed between 1974 and 1975. The pipeline section in Sicily was built underwater in the Sicilian Channel. Construction of the first line under the Sicilian channel began in 1978. The construction was halted until 1982 due to price discrepancies raised with Sonatrach. The subsea pipeline was later built and laid by Saipem at a depth of 610m. A passageway at a water depth of 503m had to be created to accommodate the subsea pipe. Line 1 was commissioned in June 1983. Saipem built the Castoro Sei, a computer operated semi-submersible pipelay vessel, to install the subsea pipeline. The laying system comprised three ramps including one stationery ramp, a pivoting ramp and a stinger, which was attached to the internal pivoting ramp. A second line was built parallel to the first line to import additional 7bcm/y of gas. Line 2 construction commenced in 1991 and was completed in 1997. The Transmed was renamed as Enrico Mattei pipeline in 2000. A third line spanning 550km was built in March 2010 to carry natural gas from Hassi R’Mel gas field to Tunisian border where it is coursed into the Transmed pipeline. A 35km-long extension line was also constructed from Italian Mainland to Slovenia. Saipem was awarded a $237m contract by Sonatrach and Eni in 1975 to build and install three 20in gas transmission subsea pipelines across the Sicilian Channel up to 610m depth and four additional pipelines across the Straits of Messina from Sicily to Mainland Italy. 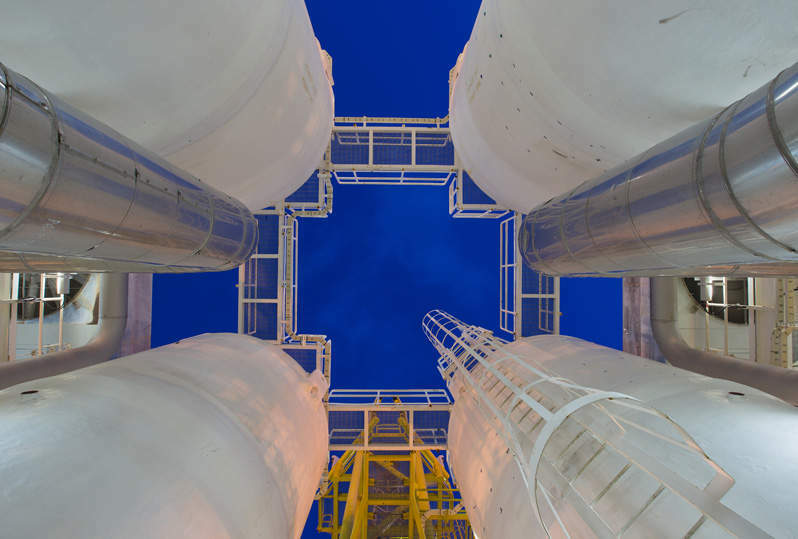 Saipem was awarded another contract in 2007 to build two advance gas compressor stations and renovate the existing compressor facilities for increasing the capacity of the Tunisian section by 6.5bcm/y. Work on the compressor stations was completed in October 2008.